Considering the faultless operating and practical interface, PharmaCodeEncoder undoubtedly will be reasonable purchase. 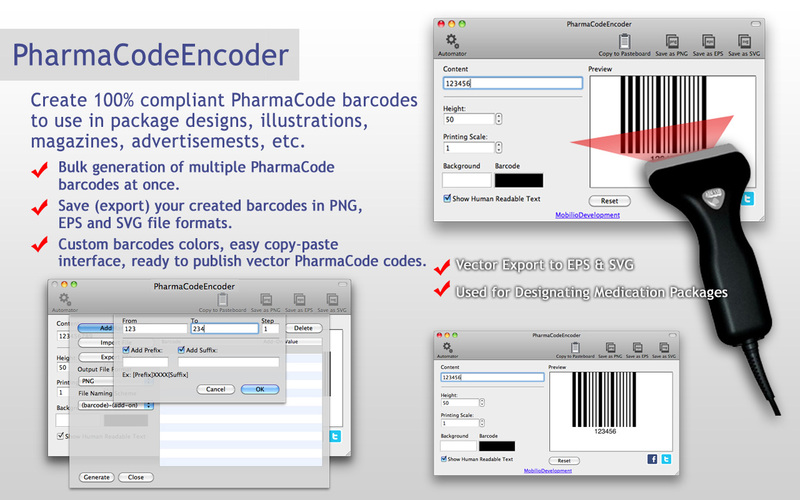 Check it on Mac AppStore, where you can find all our barcode generators, like QREncoder or UPCEncoder. 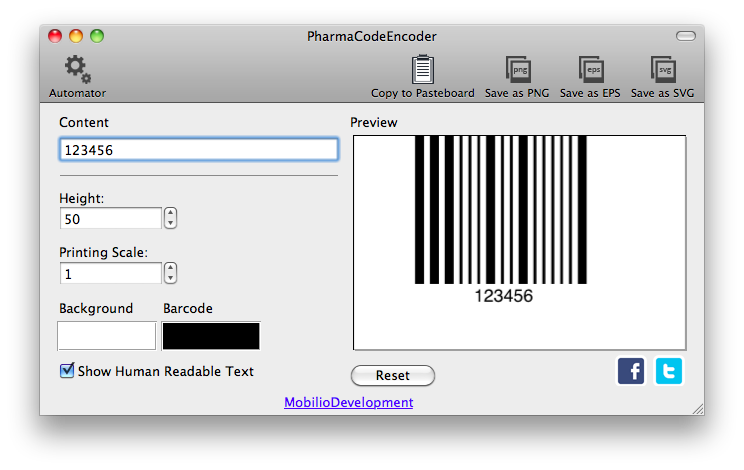 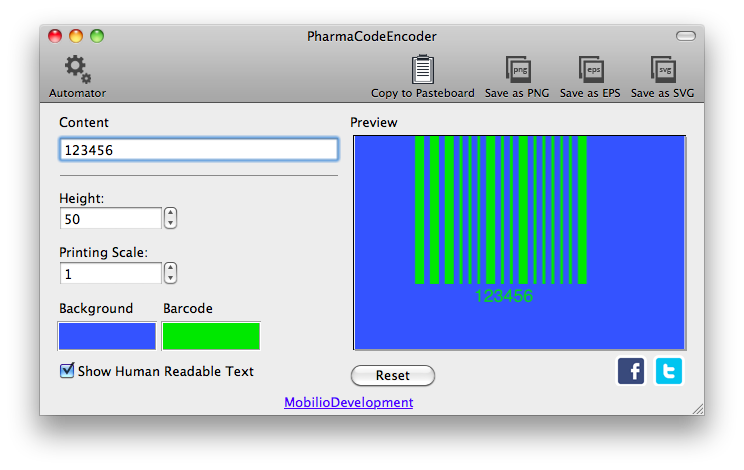 Pharmacode is a barcode standard used in the pharmaceutical industry. Also known as Pharmaceutical Binary Code, it is mainly used for tracking and controlling packages. 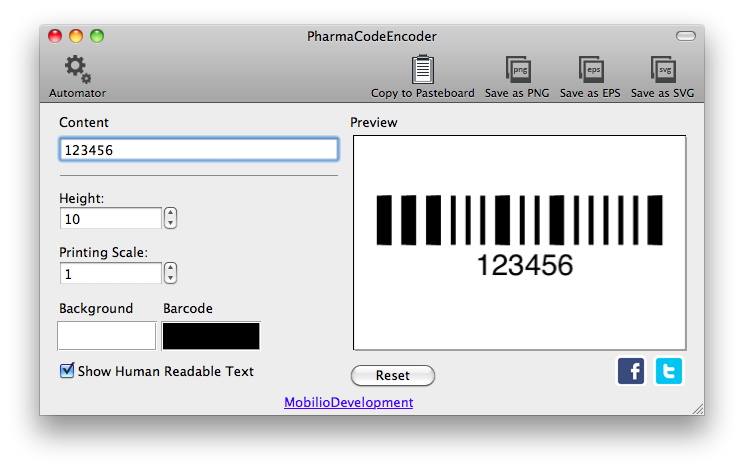 This type of barcode is designed to be error proof or said with other words – still to provide you the encoded information despite printing mistakes. Read more about Pharmacode. 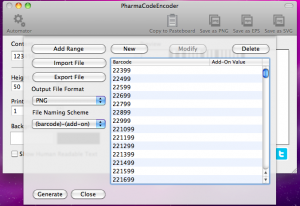 Pharmacode can store only numeric digits from 3 to 131070. 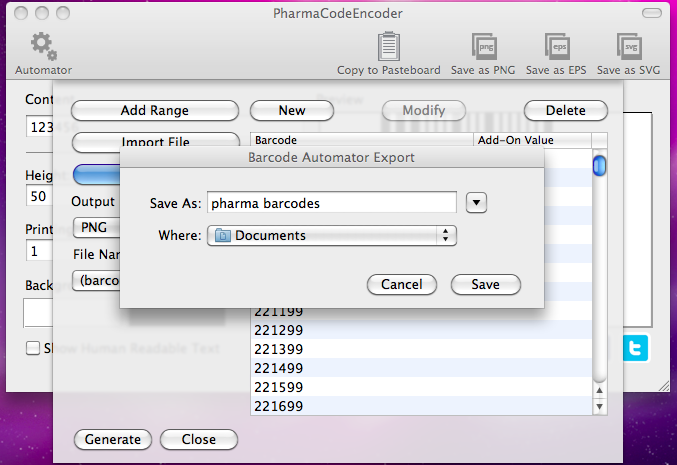 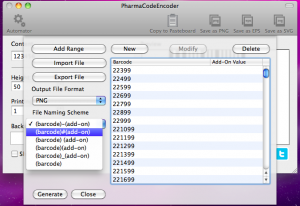 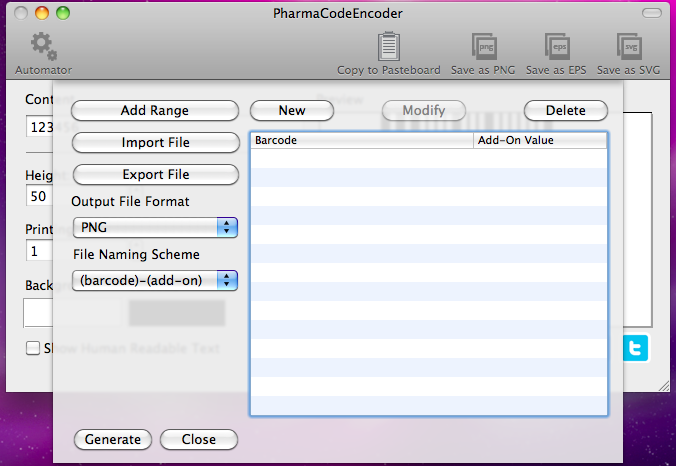 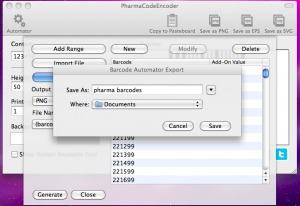 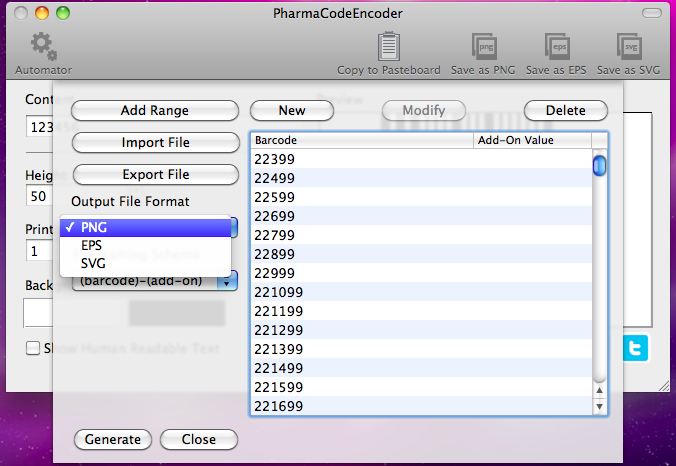 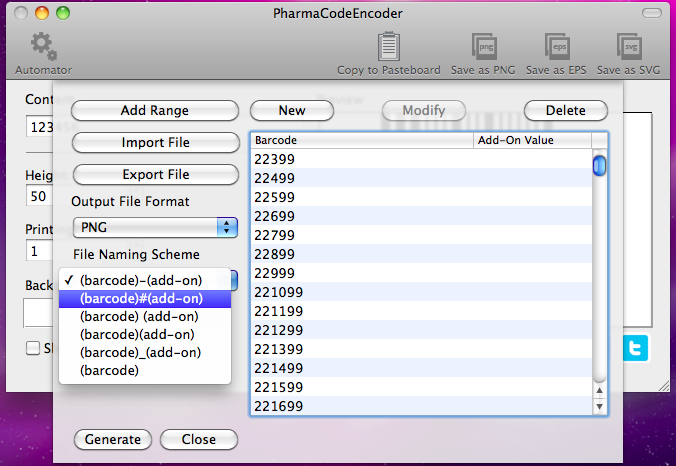 What makes it different from the other one-dimensional barcode standards is that Pharmacode uses only one type of spaces and two types of bars – narrow and wide. Moreover the information is stored in binary, not in decimal. Scanners read it from right to left and the principles they use to decipher the barcode is very simple: the figure is a sum where the narrow bars are 2n and the wide bars are 2*2n.. 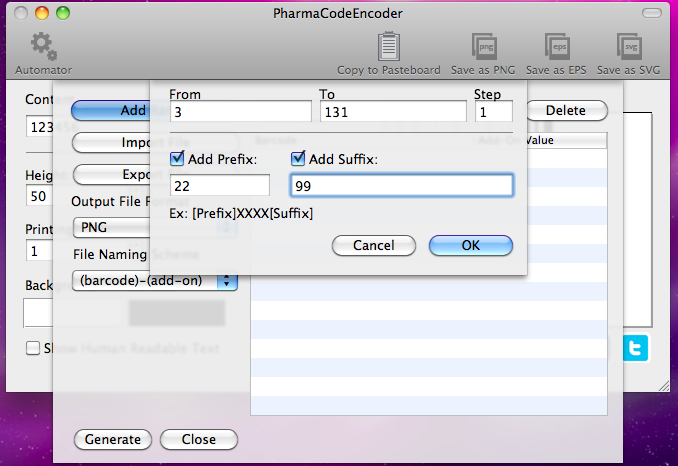 The first value, that n takes when the reader, is on the right is 0. 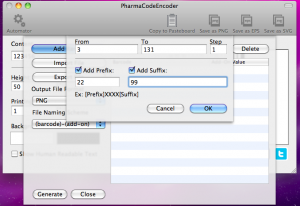 So basically the smallest number that can be encoded is 3 (two narrow bars where the sum will respectively be 20 +21=3) and the biggest – 131070 (16 wide bars). 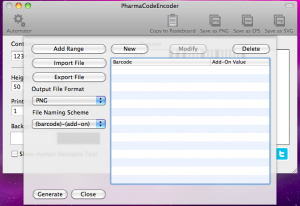 Here you can see how to work with the PharmaCodeEncoder by watching our video tutorials.